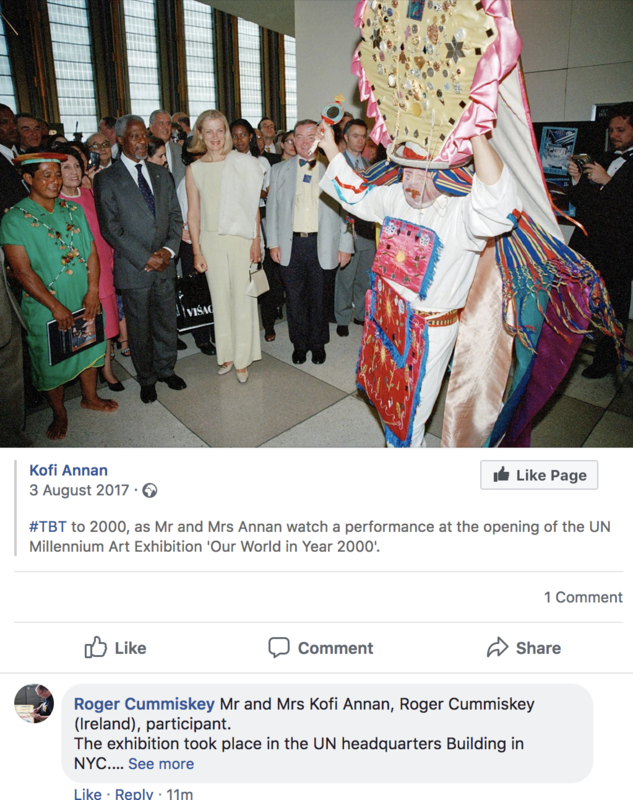 Exhibitions | Roger Cummiskey - ArtRoger. The United Nations Building, New York, USA.Our World in the Year 2000. Opening address by The Secretary General, United Nations, Kofi Annan. R.I.P. The United Nations Building, New York, USA.Our World in the Year 2000. Opening address by The Secretary General, United Nations, Kofi Annan. Three Views on a Wall – Malaga City. “Over to You” – January. AIA at Lucia with Juan Cruz Plaza. Art Brownie – Magic – in Toronto 15-29 August. An International Miniature art Project and Exhibition. Finland Radio Gallery, Benalmadena June AIA. Over 50s Show at Estepona. November. One Night Stand – Read a Book!. Marion Slatwall Gallery. Dublin – Starbucks, College Green, Ongoing. These small paintings are for sale. Please enquire. She weeps over Rahoon Bahnhofstrasse. Brock Gallery, Blackrock, Co Dublin. Mirlo Blanco – Mijas Pueblo – eight images on display. Click here. The Most Expensive restaurant in Mijas Pueblo, southern Spain, Mirlo Blanco, houses a selection of paintings by Roger Cummiskey during November and December under the Stephen Howes Fine Art banner. Mirlo Blanco do appear to be the best restaurant in Mijas Pueblo having received a string of awards over the years. Take a peek. Join the rich and famous, Presidents and Royalty. You will not be disappointed and you might even find some artwork that suits your pocket! Stephen Howes Fine Art is based in Malaga Southern Spain and advises and acts on behalf of private and institutional collectors in the disposition of fine art assets. Joyce the Pluralist. Nora , the Galway Woman. Gibraltar: Art and Photographic Exhibition – MHBLAND – 2008. OCI radio interview with Brenda Padilla. Winter Beach Ebbing tide. Pearshaped (sold) Ingsa. Denmark – Gallery Sigvardson Ongoing. Monda – GUN CLUB. Marbella Gun and Country Club at Monda – Closed for now. Dublin – Ushers Island, Dublin, – James Joyce House of The Dead. Finished. Sanyres – Facination. Puerto Banús – Summer Bliss at Sanyres. Centro Idea Danish Centre. Listen to the interview on OCI radio with Brenda Padilla. Torben from Radio Solymar opened the exhibition. You might like to Join My Mailing List! Become a fan! I would like and value your support. Interview with Brenda Padilla re The Gallery and Over 50s Show. These people have taken some of my images and put them on CafePress. They have also created a video that you might like to see by clicking Here. Newby – My son in NYC. DJPaulC new Logo on merchandise. To Jan 9: Lucia with M Madsen, Denmark. Jan 9: NADFAS: Sponsorship by AIA-ArtGroup of the lecture by Alan Read on British Cubist Artist – David Bomberg. Salon Varietes, Fuengirola. Jan 4-11: Galería 64, Malaga City, beside El Pimpi. Feb 2-13: El II Salón de Inviervo de Pintura & Escultura. – AEPE. Apr & May: École du Sépulcre, Plerin, France. Mail art project for Japan. June: Bloomsday Bathe on he Beach, Fuengirola. Nov-Jan: casa Cultura La Cala de Mijas. Feb: Arrivals Art – Malaga Airport. (AIA-Group). Video. Feb: Jinete: Carretera La Cala Golf, Km. 4.5; La Cala de Mijas, Mijas Costa. To 08/03/2011 (AIA-Group).Video. Mar: Book Cover California – Cervantes. Mar: Book Showcase 12/03 – 10-13.30. Tamisa Golf Hotel. Mar: Lucia 01/03-26/04. Dolores & Roger. Video. Mar: Avenue Cafe, Marbella. Video. Apr: AEPE – Los Boliches, XV Exposición de Primavera – mention of Honor for Despues de la Batela. Apr: Hotel Fuente del Sol – 16-30 April 2011 (AIA-Group). 2 sales. May: Villanueva de la Cncepcion, Exto. Ayuntamiento. 06/05-22/05 (AIA-Group). June: Valtocado 2011 03-05/6/2001 (AIA-Group). June: Lucia with RW part June. June: Bloomsday Bathe on the Beach, Fuengirola. 8 AM Th. 16th June. June: Marbella – Bloomsday with Irish Club Marbella 18/06. Paintings at Club Nautico, Marbella. June: RioGordo Museum 17/06-30/07 Ethnographic Museum Riogordo, Málaga Province. (AIA-Group). Aug: AEPE at Ayuntamiento de Villanueva de la Concepción 12/08. Nov: AEPE, Casa de la Cultura, Las Lagunas. Nov: AIA Newsheet vol 1. Dec to Jan 9 2012: Lucia with M Madsen, Denmark. Fuengirola: Lucia December with Karen Singh. Málaga Cultura – Málaga City, Sala de Actos, C Bolivia – Arte Europeo – AIA-Group organized with ASÍ ES COLOMBIA-ASIC. Benalmadena: Centenario – Castillo Bil Bil, – AEPE – Asociación Española de Pintores y Escultores – celebrating 100 years. Nov.
Québec: Galerie Harwood – Irish Painters. October 23rd for 2 weeks. Québec, Canada. The Artists portray Dublin’s Cafe and Pub society, or explore the rocky irish coastline. Expressionist, figurative, all diverse styles deeply rooted in simplicity, tradition and invention. This is art collected by the Irish rock band U2, Colin Farrell, The National Gallery of Ireland, Irish Embassies and contemporary collectors of Irish art worldwide. Knuttel, Scully, Timmons, Cummiskey, Mansfield and McMorrow. Fuengirola: Las Gemelas – Oct. The Over 50s Show: Palacio de Ferias y Congresos, Estepona. Nov 28 and 29. The lifestyle event for older people – Estepona– Invitation. El Jinete: la caretera de Mijas Golf 01/11-02/01. Riogordo: July – Ethnographic Museum. Valtocado: June 11-13 Where to find Studio R&J. Fuengirola: 2nd Art Fair at Castillo Sohail. Mijas Pueblo: En plein air painting on Sunday 6th June. Also Photographic extravaganza. Fuengirola: XIV Exposición de Primavera – AEPE, Delegación de Fuengirola. Casa de la Cultura, Los Boliches. Fuengirola: La Vita è Bella, Fish Alley, Life Is Beautiful. Solo. Mijas Costa: Jinete, Carretera La Cala Golf, An AIA-Group exhibition. January-May. London – Legal Dinner Dorchester Hotel, April. Auction of painting – Chamber Music. 1,375.00 GBP – N Wilson. 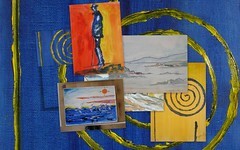 NYC, USA: Monkdogz art gallery, NY Haiti Art Auction: Silent art auction of small original works. Galería NIXS An AIA-Group exhibition. Avd Condes de San Isidro, 50, Fuengirola. January – Solo. Gallery Sigvardson, Rodby, Denmark. Group show 02-15 Jan. 9 Artists. Malaga Airport: Malaga Airport Sala Espacio Didier Daurat. Expo 15-31 Jan 2010. 7 Artists. London – Galal Dinner Dorchester Hotel, London, November. Auction of painting – Ecce Puer. 750.00 stg. Fuengirola: Galeria Lucia, with Margit Bjorklund 02/11-30/11. PHOTOS from the opening. Directions and map. Mijas Costa: Jinete, Carretera La Cala Golf, An AIA-Group exhibition. 13/11-11/01. Puerto Banus: Club del Mar. 17/11-04/12 – Photos of the opening! Estepona: The Over 50’s Show: This year for the third time at the Palacio de Congressos y exposiciones. November 28th and 29th. Bray Co Wicklow – Fine Art Auction. Mullens Dec 06. Coin: ACEfm Studio at La Trocha Centro Comercial. Supercalifragilisticexpialadocious – 04/12-08/01. Torre del Mar: Metamorphosis 15/10 -12/11 Mesón Arte y Solera Torre del Mar, Paseo Larios, 1, Málaga. Ursula Williams, Peru; Philip Magee, Ireland, Elaine Carlton, UK; Dolores and Roger Cummiskey, Ireland. Directions. Malaga City: DINA4 Archivos Abiertos. Sala de Exposiciones del Archivo Municipal, Málaga. 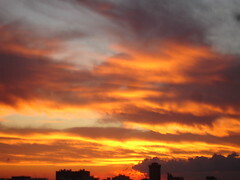 Del 08 al 31 Octubre de 2009. La Cala de Mijas: Dibleys – Announcement # 1. Elaine Carlton, Roger & Dolores Cummiskey, Ursula Williams, Philip Magee, Ian Hunter, Karen Singh, Richard Wood, Juan Cruz. Fuengirola: Galeria Lucia, Art from the Heart – 05/10-02/11 Directions/Map. Announcement # 3 Elaine Carlton, UK and Roger Cummiskey, Ireland. Madrid: The First Irish Gathering 19-20/09. Passau, Germany: project DinA4 at Kulturmodell in Passau. Aug 14 – Sept 05. Picasso. Waterford – Manifesto Gallery, Waterford, Ireland. 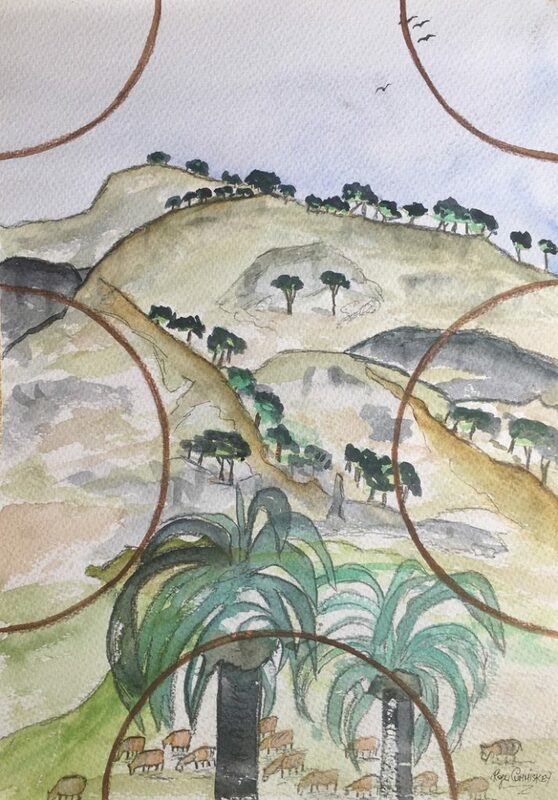 Mijas: XI Concurso de Acuarelas Villa de Mijas 26/06-20/07. Casa Museo, Mijas Pueblo. La Asociación de Acuarelistas de Málaga y AEPE organizan. Mijas: AEPE IX Concurso de Pintura al Aire Libre “Pinta en Mijas”. 07/06/2009. en La Casa Museo, Mijas Pueblo. El Departamento de Cuiltura de Mijas y la Delegacion de Mijas de la Associacion Espanola de Pintores y Escultoes AEPE organizan. Marbella: International Arts Festival, June 19-21; 11-11 daily. Valtocado: Collective AIA-Group exhibition 05-07 June at the studio of Richard Wood in the beautiful surroundings at Valtocado. Not to be missed. Marbella: Collective AIA-Group exhibition at Farinelli until 07 July at Farinelli. Directions and invitation Closed Aug 2009. EuropeanIrish. La Cala de Mijas: Dibleys exhibition by 7 members of the AIA-Group 06/05-15/06. Fuengirola: AEPE, DELEGACIÓN DE FUENGIROLA. XIII EXPOSICIÓN DE PRIMAVERA – Casa de la Cultura, 5-8 May. Mijas Costa: Art and Craft Day in aid of Nadfas at the Tamisa Golf Hotel. Fuengirola: Galeria Lucia, 02-30 March with Dolores Cummiskey. Fuengirola: Las Gemalas under the AIA-Group banner. Video Invitation. With Hector Sanchez, Argentina. Marbella: Visual Artists at Farinelli. under the AIA-Group banner. Until 02 May. Fuengirola: Galeria Lucia under the AIA-Group banner. With Richard Wood. January. Dublin – Combridge Fine Arts , Sth William Street. Until Aug 2009. Marbella – Beckitts Restaurant ongoing. London – Legal Dinner Dorchester Hotel, London, April. Auction of painting – Ecce Puer. Estepona- The Over 50´s Show at the Conference and Exhibition centre, Estepona. Sat & Sun 29 & 39 November. Gibraltar – MH Bland expo in Nov. Paintings and Photography. Fuengirola – The Gallery Bar – 24, Calle Marquez, (between Picasso Square & Hotel Pirámides), Fuengirola. Fuengirola – galeria Lucia Oct/Nov 2008 with Tatyana Marchenco, Ukrainian artist. Costa Mijas – El Corte Inglés, Mijas Costa – 27th September to 25th October 2008. Mijas – Centro Idea Danish Centre – Sept 2008, 13 to 18 Nov.
Marbella – Exhibition of 18 of my paintings at Harbour Lights, El Faro, #1 Paseo Maritimo. 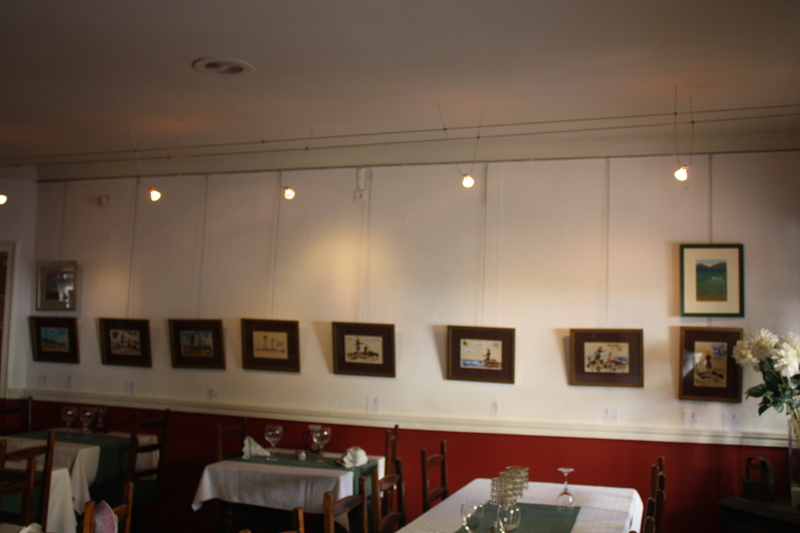 Benalmadena – NADFAS Art and Craft Day at The British Society International Club in Benalmadena. Saturday, 31 May. 11-6. The Club is based at Villa Luisa in Los Peñones. Valtocado – Summer Showcase at Valtocado, Mijas. Exhibition by The Andalusian International Artists Group. 13 Artist Members. Puerto Banús – Summer Bliss at Sanyres. Thursday, 19 June – 29 August. Álora – until May 31st. Affordable Art sale: Casa Correos. Fuengirola – XII Exposición de Primavera – Asociación Española de Pintores y Escultores- Delegación Fuengirola. 7-17 March. Casa de la Cultura, Fuengirola, Málaga, Spain. London Underground – ArtBelow London Underground. WESTMINSTER – JUBILEE LINE PLATFORM WESTBOUND. Fuengirola – The Gallery Bar – 24, Calle Marquez, (between Picasso Square & Hotel Pirámides), Fuengirola. Feb/Mar 2008. Dublin – Starbucks, College Green, Dublin. Slideshow Hanging Day and The Opening! La Cala Cultura, Spain – Jan 25 to Mar 03. Toronto – GOODEDITION – THEVERYGOODSHOW On-line edition runs thru January 30, 2008. Alabama – Fortunes Rocks Fine Art, Guntersville, Alabama. Ongoing. New York – Guest curator, Peter Scott, founder and director of SHAG in the Chelsea art district in New York City chose The Women of Dublin: Monto- Nighttown, and Sad for the monthly calandar (Feb 28 & 29) at Barebrush. Rodby – Jan 12-26 Gallery Sigvardson, Rodby, Denmark. International Art & Culture Festival, Rodby, Denmark – August 1-7, 2008. New York – January: Guest Curator: Alex Katlan, art conservator, author and collector chose The Women of Dublin: Monto- Nighttown, for the monthly calandar (Jan 03) at Barebrush. 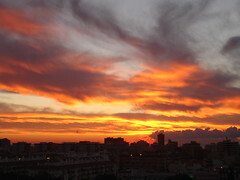 Fuengirola – Jan 02 to Feb 28, with Richard Wood. at Galería Lucia, Fuengirola, Spain. Fuengirola – The Riviera Gallery, Fuengirola, Spain. Now closed. A First for Denmark – December 15th. Palacio de Exposiciones y Congresos, Estepona. Spanish Collection – Solo Exhibition at Galería LUCIA, Puebla Lucia, Fuengirola, Málaga, Spain – during October and November. Sur in English. Gala Ball, The Dorchester Hotel , London – Nov 8th 2007. Auction of painting for charity. COI. Discount Furniture Store Fuengirola – 3 paintings. “The colours of Age -” First International Canvas Art Contest Forte de S. João da Foz, Porto, Portugal. 22/09 – lll Certamen de Pintura al Aire Libre, Ciudad de Málaga. gazpacho, La Cala, September and October. Guest Curator: Brigitte Saint-Ouen, founder and director of Gramercy 32 Fine Arts Gallery, NYC (September 25 & 26). Guest Curator, Della Clason Sperling Ph.D, founding partner of Dulack, Sperling & Cheney, art advisors, appraisals and collections management, NYC (August 20). Guest Curator: Kim Foster, Kim Foster Gallery, NYC (June 14). Castillo Sohail, Fuengirola. Agosto, 2007. Calendar 2007. Launch PHOTOS. Cudeca, España, Spain, Cancer Care charity. Details of upcoming exhibitions and some exhibitions past . . . . .
Terenure College Fundraising May 11-13. Alora – galería Casa Correos – April 28 to June 23. Fuengirola – galería Lucia – April 30 – June 25. Malaga City – galería VinoMio – April. Valtocado – Richard Wood Studio – AIA-Group Expo – May 18th-20th. Marbella – galería Van Gestel – June 8th Auction of paintings for Cudeca. Organised by: Asociación Pro-Derechos Humanos, Cultura Árabe y Bienestar Social. Gazpacho, La Cala, Gomis & Cummiskey. Vino Mio, Malaga – Group Mar., Apr., Aug., Dec. Joint 01/09-=1/10. Web presence since 1996. Commissions/ideas discussed. You may use PayPal. It’s fast, free and secure! Paintings shipped worldwide. I am a FedEx account holder. The Riviera Gallery, Fuengirola, Spain. Also. Fortunes Rocks Fine Arts; Guntersville, Alabama, USA. LUCIA Gallery, Fuengirola with Jane Gomis also Monika Winberg. Van Gestel Gallery, Marbella, Group. outdoor digital urban art gallery – Gateway to the Quarter, York. La Cala, Gazpacho. Cummiskey & Flanagan. La Cala Gazpacho.Cummiskey & Naylor. KUDU, La Mairena, Elveria, Marbella. The Riviera Gallery, Fuengirola, Spain. Richard Wood Studio – – – Photos from opening. Marbella Gun and Country Club, Monda, Spain. April, ongoing. Chiropractor Gallery – Mogens Dahl – Fuengirola. Terenure College Fundraising Three Day Exhibition. Starbucks, College Green, Dublin – featuring paintings by Roger. The James Joyce House of the Dead, Dublin. Ongoing. LUCIA Fuengirola – Joint exhibition Nov-Dec inc.
Starbucks College Green Dublin – featuring paintings by Roger. Blackrock College Rugby Football Club Fundraising Exhibition. November 17-20. Peoples Art 2005, Saint Stephens Green, Dublin. Egan´s in Nueva Andalucía, Marbella. Homes & Gardens Show, Malaga Exhibition Centre, Palacio de Ferias y Congresos. 2005. James Adams: Contemporary and Modern Art Auction June & Sept.
Irish Art Auction Mullens Laurel Park, June & Sept.
Roger has been invited to exhibit at the Florence Biennale in December next. Galeria LUCIA, Puebla Lucia, Fuengirola, Spain. April 16-Jun 03. Joint exhibition with Danish Artist Bettina Eriksen. RHA Gallery, Ely Place , Dublin 2 – Charity Auction for Tsunami victims. Feb. 15th. Art Auction to help Tsunami victims €300,000.00 raised. Kaamos Gallery, Kuusamo Hall, Finland. The Riviera Gallery, Fuengirola, Malaga, Spain. Galeria de Arte Masters, Mijas Pueblo, Malaga, Spain. 15 Usher’s Island – The James Joyce House of “The Dead”. Blackrock College Rugby Football Club Fundraising Exhibition. Saint Pauls School, Raheny, Dublin – Fundraising Exhibition. Riviera Gallery, Fuengirola, Spain. December 2004. The Roxy ArtHouse, Roxburgh Place, Edinburgh, Scotland. Opening address by Conor 0’Riordan, the Consul General for The Republic of Ireland and also Professor Richard Demarco O.B.E. ReJoyce Dublin 2004 Exhibition, O’Connell Street, Dublin. Peoples Art, Saint Stephen’s Green, Dublin 2, Ireland. Festival d’Avignon – July 3-19. Carte Blanche – The Art Works, Poole, Dorset, UK. June 29.
the gallery, Main Street, Greystones, Co Wicklow, Ireland. 411 Gallery, Hangzhou City, Zhejiang Province, Peoples Republic of China. Opening address by Vincent Gilhawley, CEO, Mona Coop and Director An Bord Bia. Opening address by The Lord Mayor of Dublin, Clr. Dermot Lacey. Florence Biennale, Fortezza da Basso, Florence, Firenze, Italy. Biennale Internazionale dell’Arte Contemporanea, representing Ireland. Boyle Arts Festival, Co Roscommon – BAF 2003. Municipal Casino, San Pelligrino, Italy. “ACQVA MIII”. Gilardi Museum, Forte de Marmi, Lucca, Italy. “ACQVA MIII”. “Cinema” – Centre Cultural “La Montgolfiere”, Vaucresson, France. Club Conradh na Gaeilge, Dublin. Peoples Art 2003, Saint Stephens Green, South. “The whole world is a stage” – La Poste Avignon Republique, Avignon Cedex, France. “Larzac- Village d’Europ” – Birds. Museo Gilardi, Lucca, Italy. Christiano Merra. GALERIE D’ART ENTREPRENDRE, AVIGNON, FRANCE. Olivier Emphoux, Président. Espace d’Art Entreprendre, 1 Bis Rue Emile Jamais, 30000 Nimes, France. Wig and Pen, A Stroll Thro’ Ulysses – Bloomsday 2002Opening address by Michael Jordan. Airfield Trust, A Stroll Thro’ Ulysses – Bloomsday 2002Opening address by Ruairi O’Cuiv, Curator. 101 Talbot St. Opening address by An Taoiseach, Bertie Ahern. The Mall Gallery, London. Our World in the Year 2000Patron and Opening address byHRH Prince Charles. The United Nations Building, New York, USA. Our World in the Year 2000. Opening address by The Secretary General, United Nations, Kofi Annan. The Bank of Ireland Arts Centre, Dublin A Stroll Thro’ UlyssesOpening address by Senator David Norris. The South Bank Gallery, Sandycove, Co Dublin A Stroll Thro’ UlyssesOpening address by Norah Norton, Director, Temple Bar Gallery and Studios. The South Bank Gallery, Sandycove, Co Dublin Some Greeks, Some RomansOpening address by George Lee, Economics Editor RTE. Hedigan’s, Glasnevin; Opening address by An Taoiseach, Bertie Ahern. Roger shows regularly at his Studio Gallery in Blackrock, occasionally at Merrion Square and St Stephen’s Green in Dublin. He also exhibits on the World Wide Web at many locations. You can also visit him at his studio in Spain. Fuengirola: Galeria Lucia under the AIA-Group banner.